Quick and easy-to-use it contains a number of features to make your life easier, whether you want to initiate a claim or get help in an emergency. Send it to us to start the claim. In an emergency you can use the panic button on your iPhone to alert us that you need emergency support. You can download the Discovery app from the Apple iStore. You will need to have created Apple user accounts for yourself beforehand. Users who have previously downloaded the Discovery app will merely need to update it via the App iStore by tapping on “Update”. Now go ahead and make the most of SmartService™! If you contact us after an accident, we will call you and direct you to the Avis branch you would need to take your car to – or we will arrange for Avis to fetch you and take you to the nearest Avis branch, your office or home. Save time with South Africa’s easiest way to claim. We are keen to get your ideas and feedback on what you like and don’t like about the Insure functionality on the app. 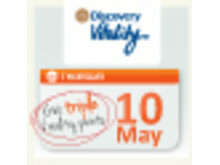 Please send your ideas and feedback to mobile_feedback@discovery.co.za. You can also use this email if you need help downloading the app. The Insure iPhone app functionality is similar to the BlackBerry app released last year. The BlackBerry® app was very well received with over 1500 Insure clients downloading it within the first two months of launch. Remember you can call Discovery 911 on 0860 999 911 for help and advice if they’re involved in an accident and are unsure about what to do.